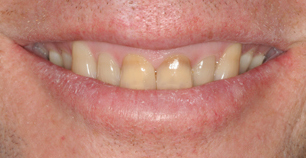 If your teeth are discolored, tooth whitening may help. "Whitening" is any process that can make teeth look whiter. It may be safely done at home or in a dental office. It is best to talk to your dentist before whitening your teeth. Whitening toothpastes help remove stains on the surface of your teeth. They are the gentlest of the whitening options. They work using polishing action rather than chemicals and don't have many side effects. However, they do not get teeth as white as chemical products. Whitening toothpastes can lighten teeth a little bit at a time, over days or weeks. Several whitening toothpastes have earned the American Dental Association's Seal of Acceptance and have been shown to whiten teeth by removing surface stains. Home-use whiteners come from your dentist or are sold over the counter. They may be applied to your teeth using trays, strips, as a rinse, or with a brush. They usually contain a chemical called peroxide (pur-OX-eyed), which gets below the surface to lighten tooth enamel. Home-use whiteners are meant to be used over days or weeks. 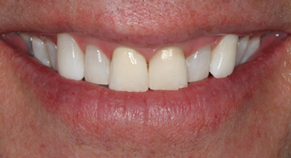 Your dentist may make custom whitening trays for your upper and lower teeth. You put the whitening gel in the trays and wear them for short times during the day or overnight. Your dentist will tell you how long to wear them. If you wear the trays for too long, the peroxide in the gel can irritate your teeth. In-office whitening is done in the dental office. In-office whiteners are much stronger than whitening toothpastes and home-use whiteners because they have more peroxide. They can change the color of your teeth faster than the other methods. In-office whitening is usually done in about one hour. To help protect your mouth from the peroxide, your gum tissues will be covered with either a thin sheet of rubber or a protective gel. 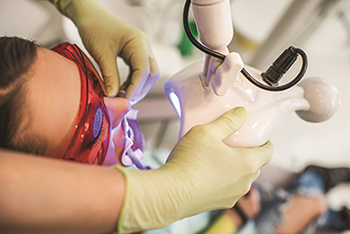 A light or laser may be used in addition to the peroxide. Whitening treatment may cause your teeth to be sensitive to very hot or cold temperatures. Whitening may also irritate your gums for a short time. If the side effects do not go away after a few days, see your dentist. To avoid harming your teeth and gums, always follow the product directions and all instructions from your dentist. If your teeth become very sensitive or if you get sores in your mouth, stop using the products and call your dentist. There is such a thing as too much whitening! Do not use whitening products for longer than listed in the product directions or by your dentist. Too much whitening can make your teeth and gums hurt badly. It can even harm your tooth enamel. Tooth whitening is not a good choice for all people. If your gums have pulled away from the teeth in some places, whitening may irritate these areas. If you have tooth decay, cavities or gum disease, your dentist may recommend that these be treated before whitening. Also, it is important to be aware that the color of fillings, crowns, and some stains cannot be changed by tooth whitening. Talk to your dentist about tooth whitening before you begin. He or she will do an oral exam to find out if it's right for you. If you have whitened your teeth recently, they may stain more easily. To keep your teeth white for as long as possible, avoid tobacco products and stain-causing food and drinks (like coffee, tea, and red wine) for several days after whitening. Keep in mind that teeth usually return to their original shade over time. But if you can steer clear of tobacco and large amounts of stain-causing food and drinks, your teeth may stay bright for several years.